Just sitting on the covered front porch "swinging" of that country home where you can sit a spell watching the world go by & enjoy some of the most stunning sunsets & sunrises you can imagine. The beautifully remodeled kitchen is just the spot to enjoy preparing meals & the dining room can accommodate a small or large family. Upstairs you'll find an updated Jack-and-Jill bath & a newly remodeled master bath. The family room is phenomenal & is the spot for entertainment. 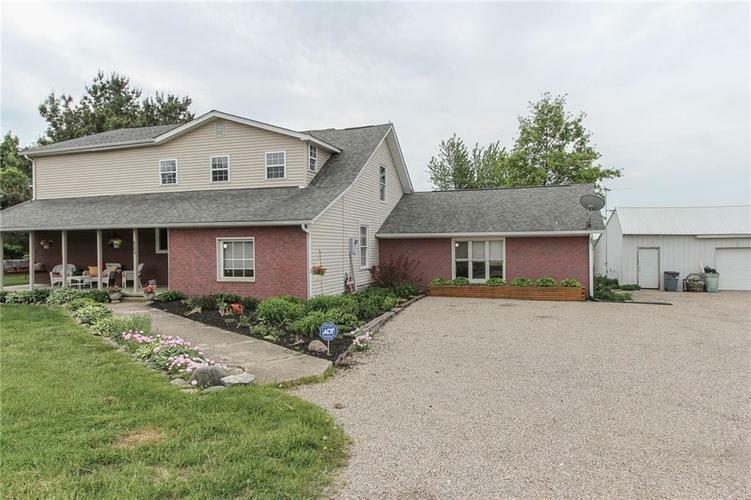 A deck that runs across the back of the home will lead you to the apple tree, grape arbor & a blackberry patch as well as the oversized 2 car detached garage with electric plus a separate barn which was specifically used for 4-H animals. Directions:SR 36 west to SR 75. Go south through Coatesville. Turn west on 600 S. Go to 8543 on the south side of road or west on 40 from Plainfield to SR 75 to 600S, turn west to 8543.